Lands End ~ Near the golf course and Discovery Trail! Great golfer's getaway....or bring your bike for the Discovery Trail right out your back door!! Close to the Peninsula Golf Course and short drive to downtown Long Beach. Open layout and relaxed feel. No refunds will be issued for early departures or changes in plans due to inclement weather. The beach/ocean is at the end of the street. Home at terminus of The Discovery Trail. Cadet heaters in individual rooms. Please bring your own beach blankets and towels. Please REMOVE ALL SAND (outside) from anything you put into the washing machine. THANK YOU!! In 1 small car in garage (summer only) or in driveway. No street or lawn parking. room for 1 small car in summer; during winter it has outdoor furniture stored inside. Futon beds in living room sleeps two additional guest(s). Drip Coffee Maker; guest provides own coffee. additional bar stools at counter and extra chairs are in the garage. There is NO cable TV in the Master Bedroom; only DVD player. It is SMART TV enabled. There is outdoor furniture to enjoy during the good weather months. We loved our stay at Lands End! This is a great place for families, a business trip, time with friends or a romantic getaway. It's quiet, close to the beach and a short drive from town. The owners provide a lot of nice details and just purchased new porch furniture. The porch is one of our favorite spots in the evenings. We'll be back! Thanks for a lovely place to stay! The home was perfect for our short two-day stay. The house was well equipped and a short walk or drive to the beach. We would suggest that the owner might consider adding wine glasses to the inventory and adding a small vanity or shelf in the master bath for toiletries, we had to place ours on top of the night stand which wasn't ideal. All in all the home was comfortable and we would consider staying here again. This home was cozy and well equipped. Nice location and comfortable beds. 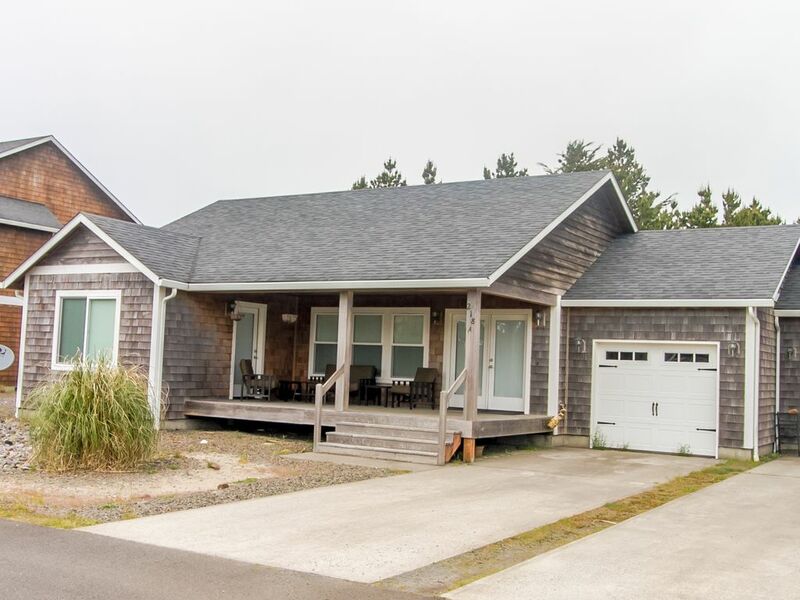 Lands End is ideally located near town and within short walking distance to the beach. Very clean with practical furniture for families. A very roomy front porch for relaxing outdoors and some handy toys for kids in the garage. Can never go wrong with a plastic pail and shovel when you’re near sand. We’ll definitely be back! Amazing place, but I gave it three stars because it’s actually a townhouse (connected to another residence and not a house). That was not in the description.